Hello, lovely Friends! I really like Lush products, because I love the smell of the most things and they are not tested on animals and palm oil free. Today I want to introduce you to an eyeliner that you can get at Lush: DYNAMIC and to the point. I use this eyeliner actually not only as an eyeliner but also as a cream eye shadow, and for me it works either way really good. You can choose between 31 beautiful colours. Maybe you are asking you now, why I choosed the colour Dynamic. Last time when I was there you could spin a wheel with your eyes closed. Then you had to point at one colour with still your eyes closed. And I picked up this lovely warm peachy colour. The shop assistant explained to me, how I could use it. I can use it as an eyeliner: I draw a line close to the lashes. A fine line will give a bit more a discreet colour and a thicker line will give boldness to the eye. Or I use it as a cream eye shadow: I draw a thick line and blend onto the eyelid with my fingers or a brush. 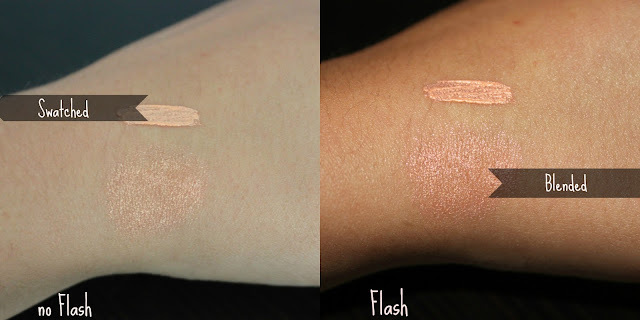 It's a lovely really pigmented colour and once you have it on it lasts a long time and it doesn't move so you don't need to use an eye shadow base. When I apply it, I look really fresh and I kind of glow what I really like. 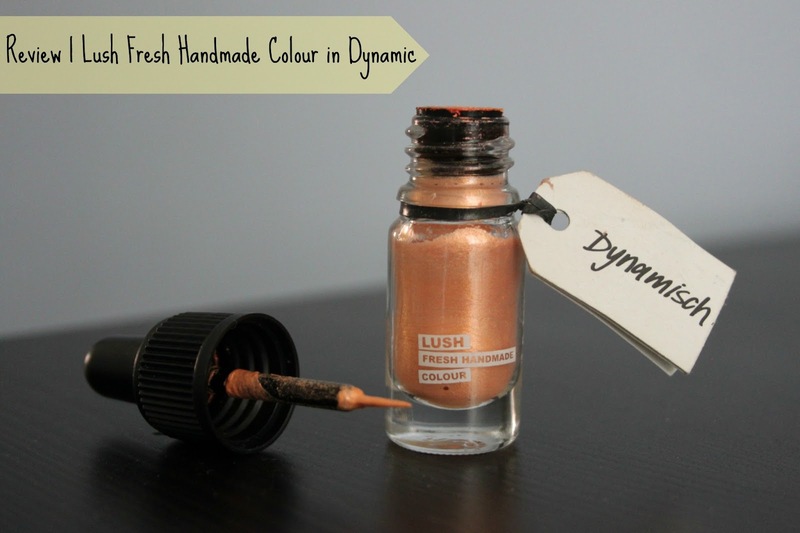 This colour is really flexible to use, and if you have a darker skin I'm sure it will look even more gorgeous on you because it goes into the skin. The bottle is really handy to use but the opening at the neck of the bottle is very slim so it's hard to get a brush to fit inside it, if you want to use it as an eye shadow. You can purchase it for £14.50 or $21 or CHF 20 in every Lush store. I leave you this link, if you want to buy them online. What do you think about Lush? Are the products the price worth?